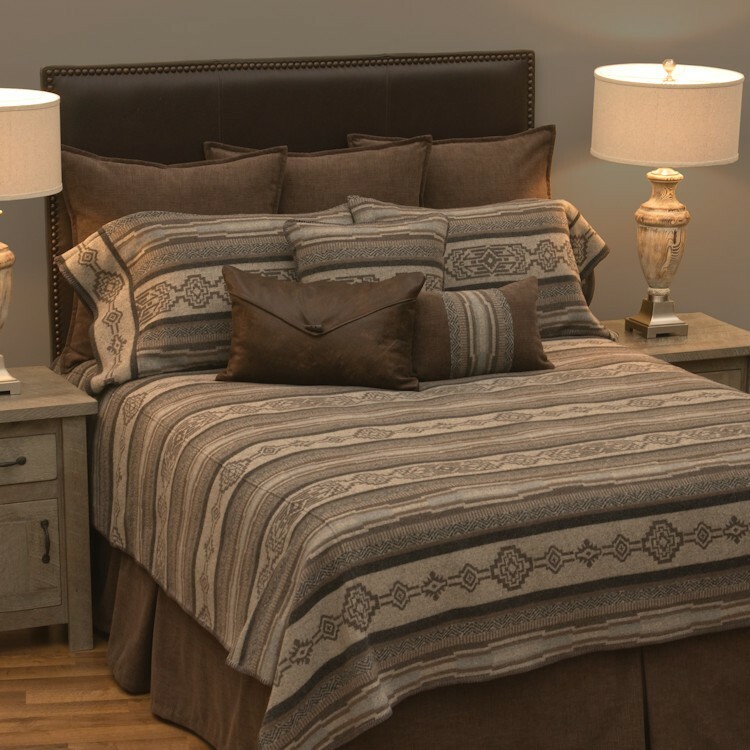 (2 Panels) 53" x 84"
Luxury in terms of texture, color, and hand, our Lodge Lux Bedding Sets deliver it all with its calming neutrals and Southwestern flair. The geometric pattern is accented with a button hole stitch edging. The pillow shams echo the pattern of the blanket cover and the heavenly espresso brown tailored bed skirt gives this bedding added dimension. 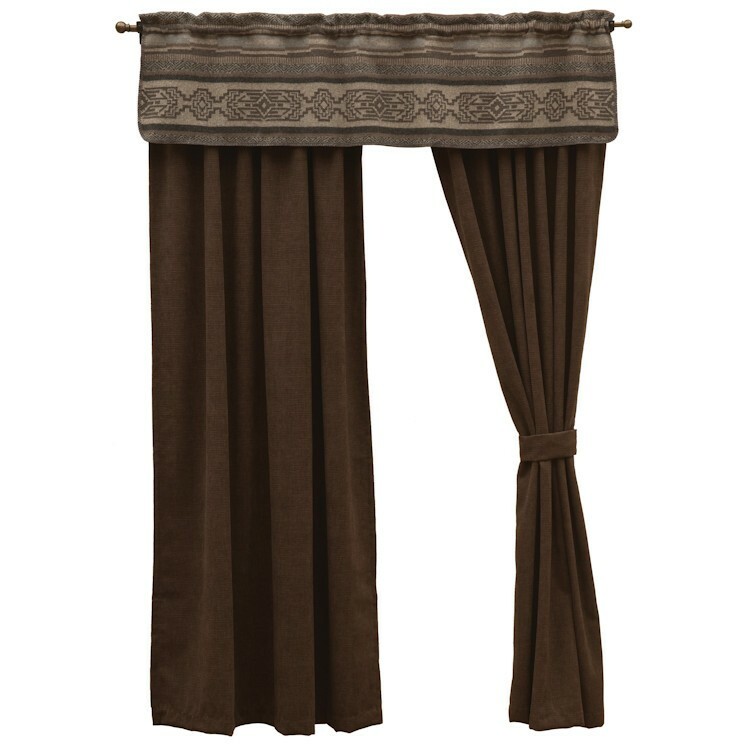 The deluxe sets include three heavenly espresso brown euro shams to complete the bedding ensemble. 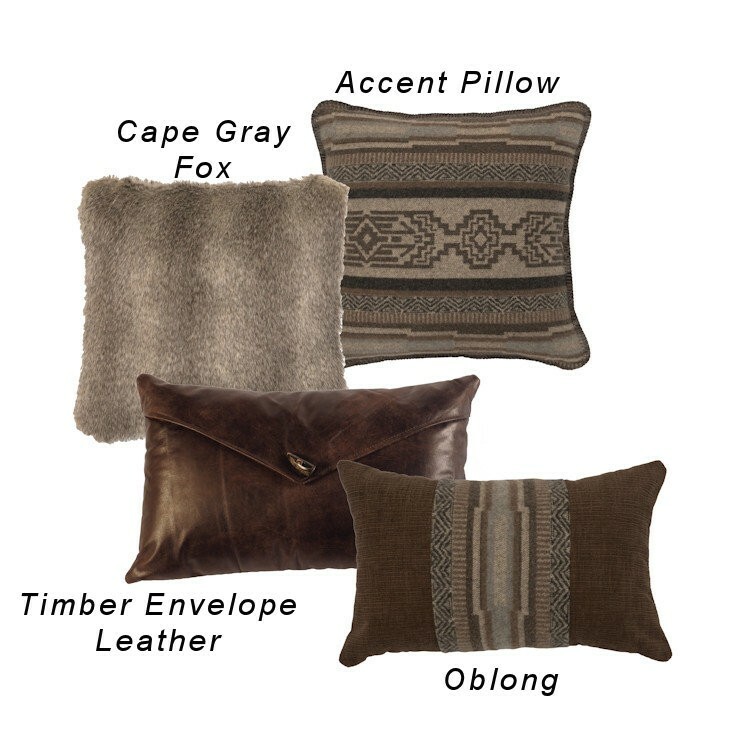 Luxury in terms of texture, color, and hand, our Lodge Lux Bedding Sets deliver it all with its calming neutrals and Southwestern flair. The geometric pattern is accented with a button hole stitch edging. 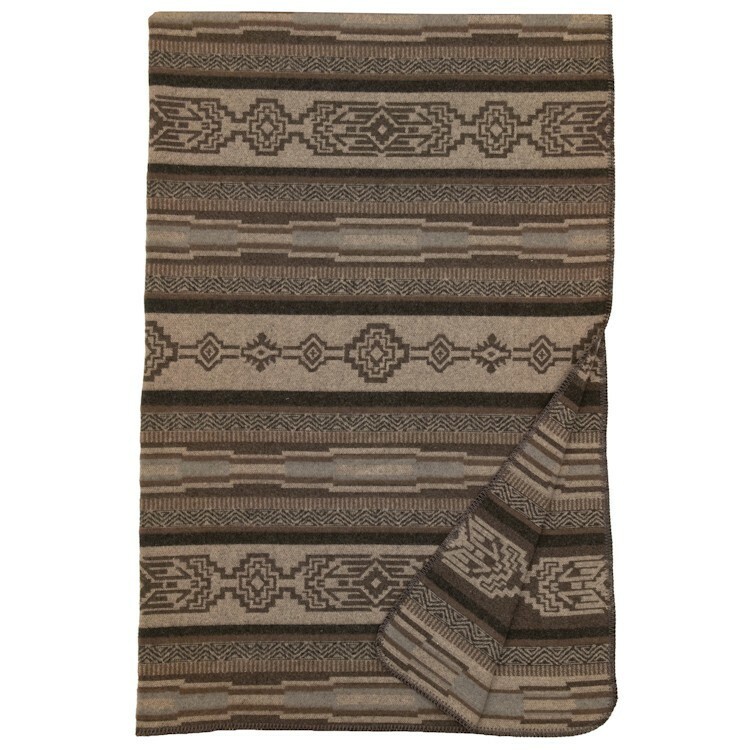 The pillow shams echo the pattern of the blanket cover and the heavenly espresso brown tailored bed skirt gives this bedding added dimension. The deluxe sets include three heavenly espresso brown euro shams to complete the bedding ensemble. $20 OFF ORDERS OF $200 - Today only! Subscribe to our newsletter and get discount code.